I forget which aquarium where I took this picture. 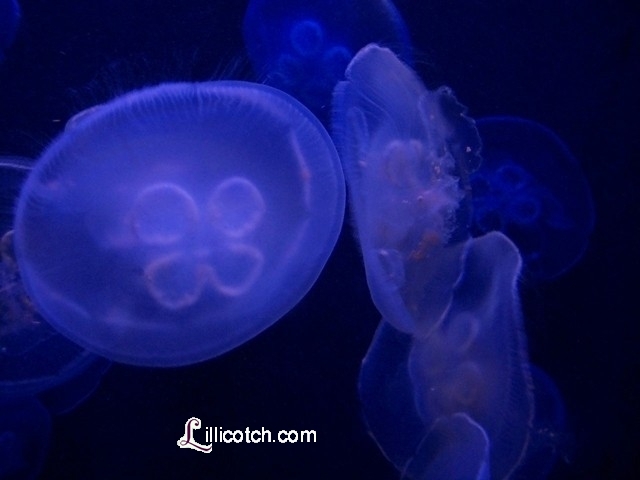 I have many photos of jellyfish. I think they are very cool to look at, but not much fun to swim with.